The Capitol Symphonic Youth Orchestra (TCSYO) a 501(c)(3) Non-Profit organization was established to provide a high quality string performance experience for promising young musicians from Washington, DC, Virginia and Maryland. 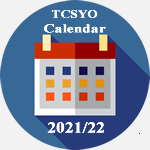 TCSYO is a quality music educational organization that attracts and sustains the highest level of musical excellence for training and performance in the Washington DC area. TCSYO challenges young musicians to pursue musical excellence, to seek intellectual stimulation, to experience the love and joy of music making. The Capitol Symphonic Youth Orchestras’ vision is to become a premier musical voice for students and a major cultural force embracing all communities in Washington, DC, Virginia and Maryland.